There’s nothing that ruins a homemaker’s day like stains on carpet. But, what’s happened has happened and now you have to take care of it. Let’s just do it graciously alright? Blotting stains when they are fresh is important to the process. However, you can apply these methods even after the stains have dried up. Another important thing to remember here is that the one for all approach doesn’t work on Carpet Stain Removal. Different kind of stains have to be treated differently. Spot treatment methods also depend on the fabric of your carpet. Check the care label for cleaning instructions. In cases where the stains are too many and embedded strongly into your carpet, calling professional cleaner is the ideal way. Pets are family members as well and every once in a while they have accidents or make mistakes, even when they are trained otherwise. Pets leave order, urine or faeces and hair on carpets. Take off the initial mess without leaving any debris. For wet stains, blot dry immediately. If the stain has dried, moisten it first before apply cleaning product for pet stains. Use a clean white cloth to soak up any residue soap to finish off the cleaning. Get rid of spot and odor using ¼ cup of vinegar with warm water and spritz. Spray the vinegar and wait a few minutes then blot the stain until it is gone and dry. Dry the stain by blotting it with a clean white towel. Change the towel once saturated to avoid spreading the stain. 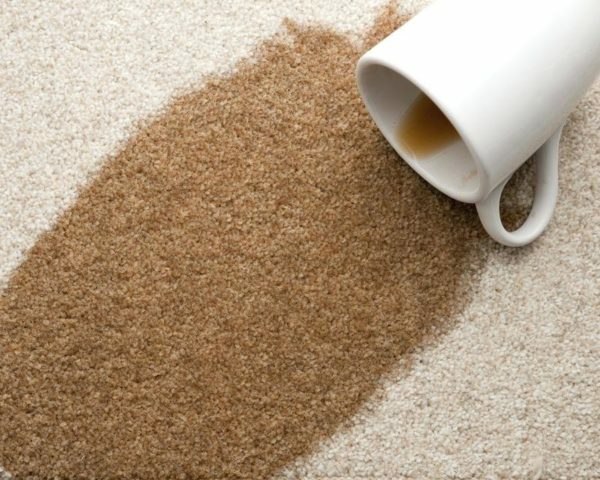 In case of a professional stain removal carpet, moisten it first and blot. Mix vinegar, water and a gentle detergent without any bleach. Spray it onto the stain and leave it for a while, use a clean cloth to blot it out gently until dry and spot is gone. Use cold instead of hot water when treating blood stains. Hot water spreads the blood stains. Fill a spray bottle with cold water and 2 tsp. of a grease cleaning, liquid detergent. Spray on the stain so it moistens well. Take a clean, dry white cloth to blot the spot, change the cloth once saturated. Rinse using cold water. Repeat the process if the stain doesn’t go in the first attempt. Provide enough ventilation so the spot dries quick. In case of stubborn blood stains use a bleach-free commercial product after the vinegar method. Dilute the commercial cleaner in cold and not warm water. Blot dry until necessary. If the carpeting is wall to wall and there are more stains than you can take off on your own, call As 1300 284 115 professionals.